Is Peter Jones into Bitcoin and other Cryptocurrencies? Peter Jones is arguably one of the most recognised faces in British Media especially for individuals who keep an eye on the world of business. Being one of the original investors on the BBC Two show, Dragon’s Den, he has gained popularity over the years due to his television appearances. He starred in TV shows such as the American Television Series, American Inventor and the television show, Tycoon. As an entrepreneur and businessman, a lot of people are interested in his portfolio and in what businesses he is investing in. He was estimated to be worth GB£475 million in 2013 and his interests ranged from property, leisure, media and mobile phones. Recently, there has been an online frenzy about his supposed investments in creating a trading platform for the cryptocurrency, Bitcoin. But before you jump into the bandwagon, you need to ask if he did truly get into trading BTC. There are two kinds of people in the world, those who know what BTC or Bitcoin is and those who don’t. And those who do know what bitcoin is all about, are either investing in it or staying away from it. This is all because bitcoin is so difficult to meddle in even if you are a trading expert. Basically, bitcoin is a form of currency that that you can use all over the world in order to pay for goods and services. 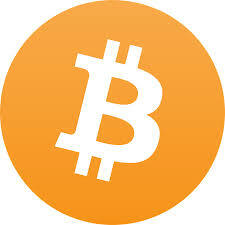 It is the first decentralised digital form of currency that is not managed by a central bank or by an administrator. This is what makes bitcoin so practical yet so volatile and even downright dangerous at the same time. In general, if you want to have bitcoin, you can either mine it, or you can opt to trade it just as you would in FOREX. For most people, mining BTC is just too complicated, this is why most people who are interested in BTC are looking to go into trading by buying it through trading platforms. The news frenzy began when online publications and websites started to claim that Peter Jones invested a huge amount of money for the development of a bitcoin trading platform. While some sources say that he invested as much as £100,000, there are those who claim that his investment towards the bitcoin trading platform, identified by some sources as Bitcoin Trader, is his biggest ever. There are blogs that claim that the trading platform was presented during an episode of the Dragon’s Den. They also claim that the people were shocked to see that no less than all of the five Dragons battled over the company with Peter Jones himself emerging victorious. What’s more, the trading platform that Jones supposedly bought was highly sought after simply because with an initial deposit of only $250, the platform can easily make you millions within a span of weeks! This is all done with the help of a fully automated algorithm that uses your initial investment to buy and sell bitcoin at exactly the perfect time so you can get always the maximum profit. If it sounds too good to be true, it’s probably because it is. Unfortunately, the claims that Peter Jones invested in a bitcoin trading platform are all false. The people behind all these are using Peter Jones’ reputation in order to scam people out of their $250. As mentioned, bitcoin is a currency that is too volatile and even those who have successfully traded in it cannot provide you with a 100%, fool-proof way to earn money from BTC. But because of the hype around this cryptocurrency, there are individuals who want to take advantage of the people’s curiosity over this currency as well as their yearning to earn money passively. Today, Peter Jones has issued an official statement on his personal website that he has not made any investments towards Bitcoin Trader or any other bitcoin trading platform. He also states that he is not associated with any bitcoin trading platform and that he is going to take legal action against the people who initiated the scam as well as those who used his name and image without any authorisation.